Without thinking much, we decided to take a walk from Tanimachi 4th to Umeda station. After we passed Yodoyabashi station, there were two foreigners shooting something from the bridge. We found decorated bridge in the direction of the camera is shooting, and we also started to shoot it. The bridge looked beautiful with a help of the beauty of the dusk, although the decoration of it was not that great. We thank the foreigners who shot the bridge before us. We wish there were more who found the decorated bridge because of our shooting it. 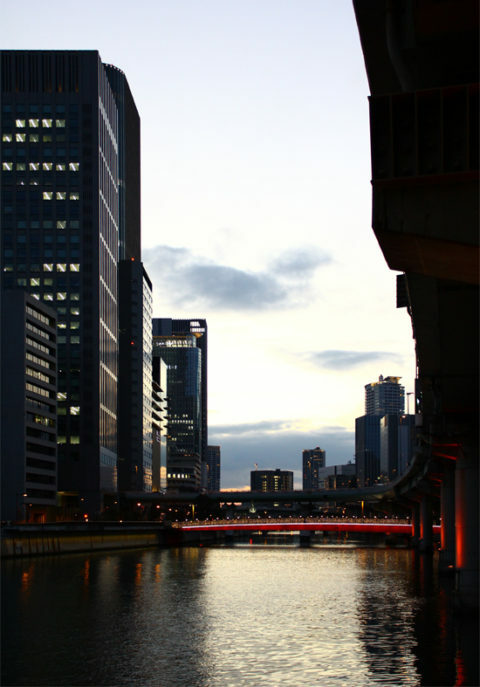 Photo: A bridge near by the Yodoyabashi station, Osaka.